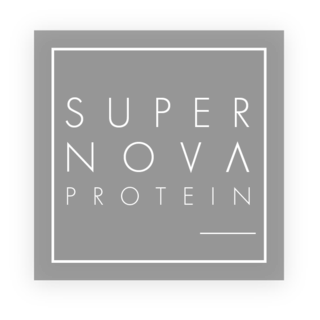 "Quite possibly my favourite Supernova powder, just one scoop transforms my morning smoothie to a ridiculous antioxidant level that far exceeds the amount of veg I could ever fit in a Vitamix. 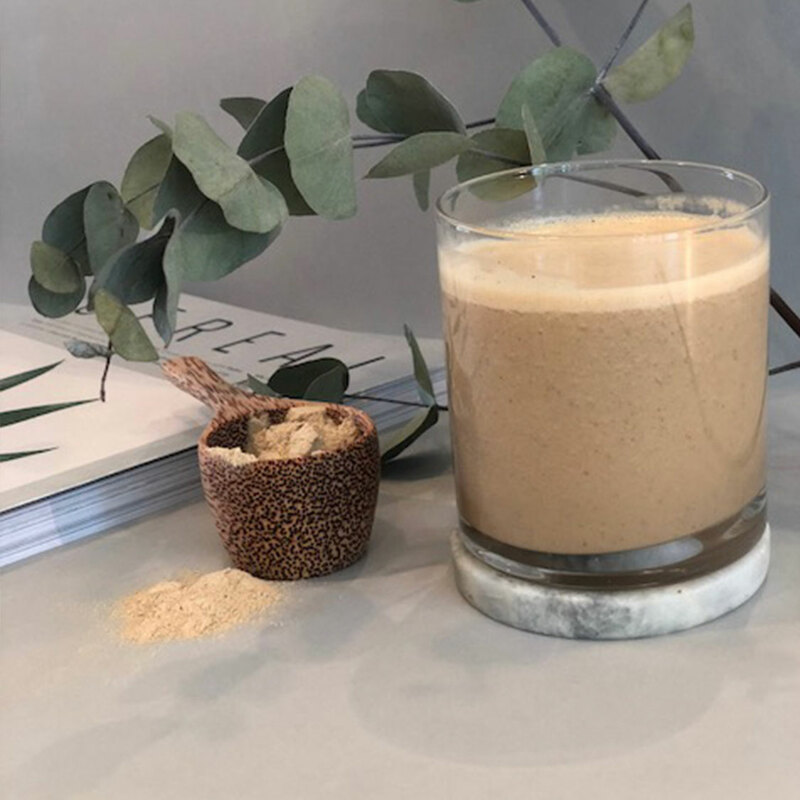 I love almond milk, a banana and a heaped spoonful of peanut butter "
"Quite possibly my favourite Supernova powder, just one scoop transforms my morning smoothie to a ridiculous antioxidant level that far exceeds the amount of veg I could ever fit in a Vitamix. I love almond milk, a banana and a heaped spoonful peanut butter "
Our 00 Naked protein powder is Naked. Exposed. Organic. We have nothing to hide. No ‘natural’ or artificial flavours or sweeteners. A pure, neutral taste of plant proteins, organic brown rice and pea protein with added benefits of bioavailable adaptogens to balance hormones, increase focus and endurance and keep your gut happy with naturally found prebiotics in agave inulin. We recommend adding two scoops of our coconut wood reusable scoop or two heaped tablespoons (30g) to 350ml of dairy-free milk and fruit of your choice to make a supercharger smoothie like you’ve never had before. See our journal and Instagram for recipe inspiration. 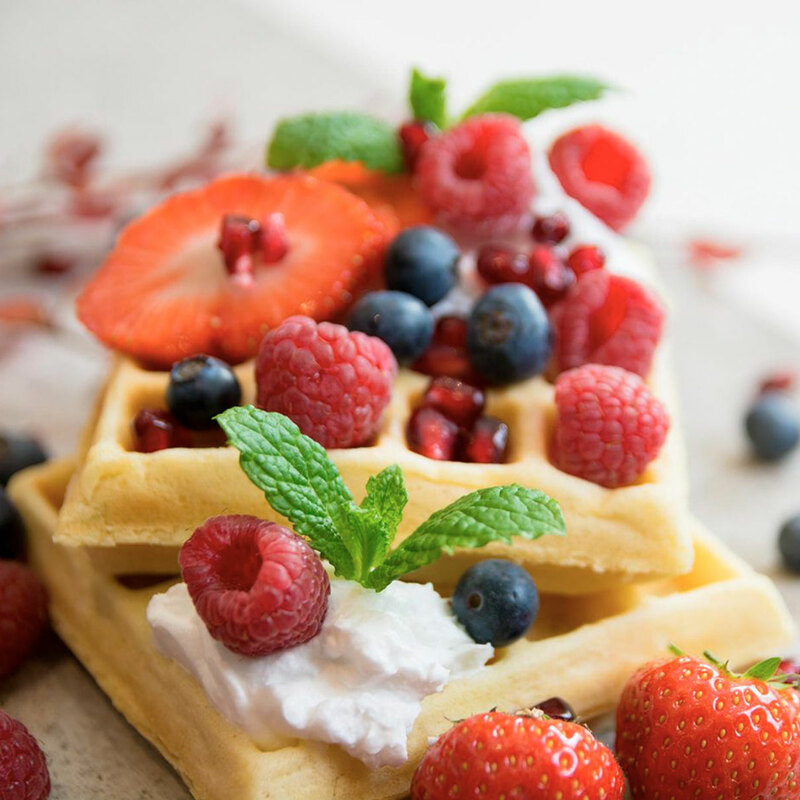 Due to the heat stability of the ingredients, you can add them to baking, pancakes, waffles etc. Your imagination is your only limit. Taking your baked goods and smoothies to a whole new Supernova level. Our Organic Pea Protein Powder starts with organically grown yellow peas. After harvesting, the peas are selected, cleaned and liquefied. The protein is extracted through a double separation process without the use of chemicals; the pure protein liquid is decanted and then clarified. It is then dried, sifted, inspected and packed for dispatch. 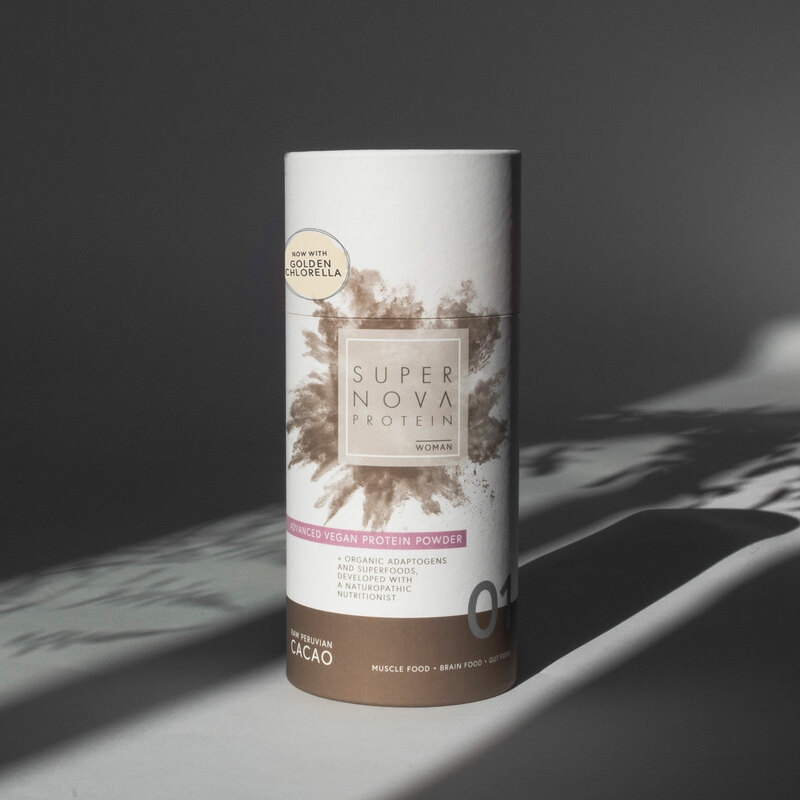 Being gluten, soy and dairy free, it is the most hypoallergenic of all protein powders, to reduce bloating, aid digestion and alleviate stomach problems. We’ve ensured it is not genetically modified or irradiated. Being the super conscientious beings we are, we have also carried out our own analytics test to ensure the levels of heavy metals are lowers than the EU regulations. With it being slow-digesting, pea protein keeps you feeling fuller for longer, meaning you’ll be less likely to snack throughout the day. It contains all nine essential amino acids and is a good source of arginine, an amino acid your body needs to build muscle. With it being low in methionine we’ve combined our blend with organic brown rice protein which creates a perfect amino acid complex. Our Organic Brown Rice Protein is sourced from organic wholegrain brown rice, extracted naturally to create an impressive 80% protein without the use of chemicals. We’ve also had an additional heavy metal test from our own analyst to ensure the levels are below the EU regulations as rice appears to be particularly vulnerable to arsenic contamination because it grows in water and arsenic is water soluble. However, seafood like salmon, canned tuna and shrimp have been found to contain five or more times the amounts found in rice. Brown rice protein is one of the most hypoallergenic protein powder available, extremely easy to digest and is unlikely to bother your stomach and helping to create a much more alkaline environment. Very few people are allergic to brown rice protein, unlike whey, it is gluten and dairy free yet has very similar properties to whey. Brown Rice Protein has the closest amino acid profile to mother's milk out of all known protein sources. Being totally plant-based, rice protein shows a faster absorption rate for leucine, a particularly helpful amino acid that slows the degradation of muscle tissue and may decrease food intake and body weight. It is lower in the amino acid lysine which is why we also use fermented pea protein to create a more superior, complete amino acid profile. A 2013 Nutrition Journal study shows that that brown rice protein is just as effective as whey protein in supplementing body composition and exercise performance. Organic Maca also known as Peruvian Ginseng is actually a root vegetable. We’ve included red, black and yellow maca in our Naked 00 powder so you can get all the benefits of the three varieties. 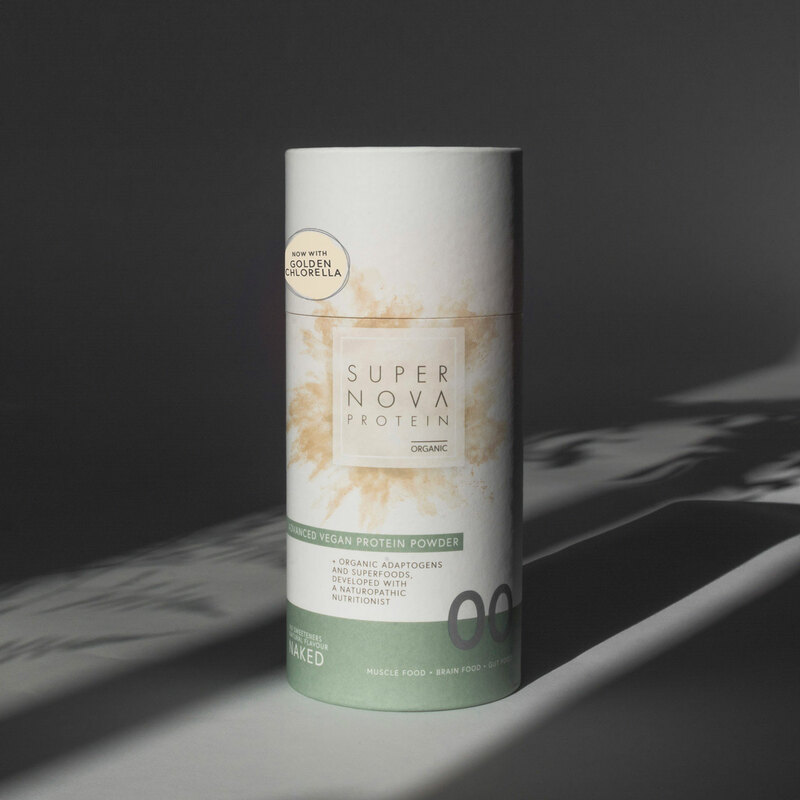 Our maca is grown by a co-operative of local farmers in Peru at just above 4,000 metres, in the Carhuamayo province of the 'Meseta del Bombom’. The maca seed is sown in September at the start of the rainy season. After sowing, the seeds are buried using branches or sheep are released into the field to trample them into the ground. The maca roots are dug out by hand using a small hoe called a cashu to avoid damaging them, then laid out under the sun for 10-15 days until they are dried. They are quickly transported to a local processing plant where they are carefully weighed, cleaned and only the best quality roots selected for processing. Without the use of chemical they are milled into a fine powder and tested for microbes.This plant was first documented in the Peruvian Andes, where the Incas used it as a stamina and strength booster for their warriors. It is an adaptogen, a natural substance that promotes homeostasis in the body by normalising the production of stress hormones, keeping you calm during stressful situations. It is also known as a powerful aphrodisiac for both men and women and a powerful source of antioxidant activity, stimulating glutathione and antioxidant enzyme superoxide dismutase (SOD) production.This powerful antioxidant action provides tremendous support to a healthy immune system, promoting overall health and longevity. These antioxidants work to fight off free radicals in the body that damage the cells and cause disease. Organic Agave Inulin Powder is considered a super fiber, offering up to 10 grams of fiber per 1 oz serving. It promotes digestive health by serving as a prebiotic and that aids in healthy gut flora. Agave inulin also supports bone health by promoting the body's normal absorption of calcium and magnesium. As an inulin, it has a very low impact on blood sugar levels. Many prebiotic inulins are manufactured from sucrose or extracted from chicory root by industrial process. Ours is a certified organic, raw agave inulin powder extracted from the leaves of the Blue Agave Tequilana Weber plant from Mexico, grown with first rate organic farming and harvesting methods without any heating or steaming. Prebiotics are essentially nutrient sources, or “fuel,” for the beneficial bacteria that live within your gut. As prebiotics make their way through the stomach without being broken down by either gastric acids or digestive enzymes, they bring about positive changes in the digestive tract and organs. Since they act like food for probiotics, prebiotic compounds help balance harmful bacteria and toxins living in the digestive tract, which has numerous health implications, including improving digestion. We’re fed up of ‘the bloat’ and doing all we can to prevent it. "Other benefits of great gut health can be improved stool quality (frequency and consistency) which reduces the risk of gastroenteritis and infections, improves general well-being and reduces the incidence of allergic symptoms,” according to a report in The British Journal of Nutrition. Prebiotics enhance our ability to absorb important nutrients and trace minerals from the foods we eat and reduction of inflammation which has long been known to play a role in many chronic serious illnesses. it’s also becoming clear from more and more research that mood-related disorders like anxiety or depression are highly tied to gut health. Organic Ashwaganda is from the same family as the tomato, it is a plump shrub with oval leaves and yellow flowers but it is the root of organic plants that is used for our powder. One of the most popular adaptogens and for good reason. Its ability to induce calmness and clarity by regulating neurotransmitters such as serotonin and the stress hormone cortisol means it can have a calming effect on your body, relieving stress which can come from daily modern life, such as chemicals in non organic food, pollutants and the stress of work and home life. On the other hand, it can fire up your body and give you energy when you’re feeling fatigued and burned out. Ashwagandha increases your antioxidant levels, high antioxidant levels trigger production of collagen. This allows the skin to keep its youthful appearance and helps in the production of natural oils. It also fights off free radicals that cause wrinkles, dark spots and blemishes. Ashwagandha may be of particular benefit to athletes because of its ability to reduce cortisol levels, increase energy, enhance endurance, reduce recovery time between exercise sessions, boost overall exercise performance, exert antioxidant effects, and boost immune system function adrenal function. It is right of the top of the super dooper crazy good adaptogenic tree. Believe us. This berry is so good they named it twice. The Camu Camu berry is a shrub that grows in the Amazon rainforest. It is one of the world’s highest source of vitamin C on the planet. It has 60 times more Vitamin C than an orange and 56 times more Vitamin C than a lemon. In fact, one single teaspoon of camu camu powder has 1180% of your recommended daily intake! Don’t panic you can’t overdose on vitamin C you just excrete it! There is a lot of evidence in fact to vitamin C therapy in curing a whole host of illnesses by stimulating white blood cell production, which significantly boosts the immune system.The natural antiseptic qualities of camu camu make it ideal for fending off bacterial and viral infections. The high levels of Vitamin C in Camu Camu can also stimulate the brain to produce more serotonin, which enhances mood, protecting against depression. The powerful antioxidants work to reduce free radicals in the body and have the ability to slow down and improve the aging process and reduce inflammation. Firstly MSM or Methylsulfonylmethane is NOT a chemical, it is a natural compound that exists in all trees and many plants! 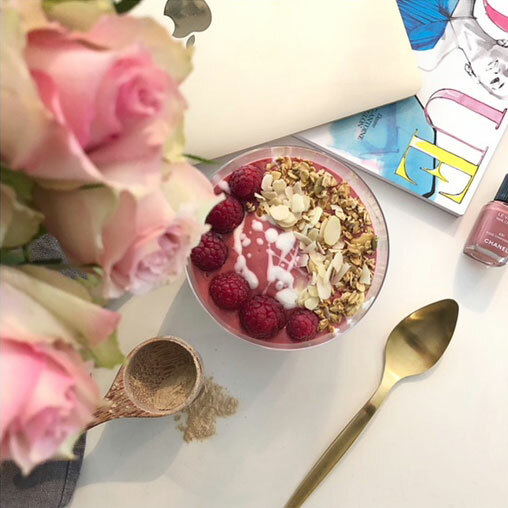 As ALL our ingredients are 100% natural we were initially reluctant to involve MSM as we felt it looks too much like a chemical but with the world becoming ‘awakened’ and knowing that it is pure and so beneficial we had to include it for you! Although it sounds synthetic it is actually biologically active sulphur and this compound is the third largest nutrient found in the human body and most will be deficient in it. For example, sulphur plays a critical role in detoxification, and also in inflammatory conditions. MSM considerably increases the permeability of your cells, which means that it increases the cells' capability of flushing out excess fluids and toxins. This mechanism has a very important detoxifying effect, making way for essential nutrients into your system and thereby improving the overall functioning of your cell membranes. The sulphur provided by MSM produces generous quantities of collagen and keratin, both of which are vital for healthy hair and nails. 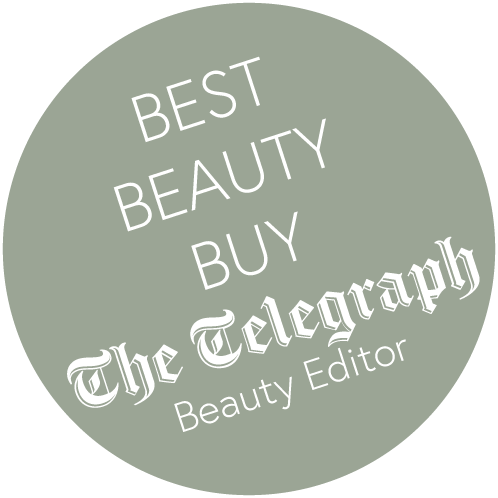 In fact, MSM is often referred to as the ‘beauty mineral’. As with most supplements, quality is a concern when it comes to MSM as well. We’ve ensured our premium MSM comes from tree derived sources. Vitamin C and MSM work synergistically together and for your body to utilise all the nutrients we always recommend bioactive ingredients which is why our vitamin C comes in megadoses in the form of organic camu camu. They work hand-in-hand with collagen synthesis and are needed conjointly for the healthy maintenance of all the body’s cell membranes. The use of pure sulphur dates back to 1075 when it was found to soften the skin. It has been used as a beauty aid as it is necessary for collagen production which can improve sagging skin and wrinkles, as well as dry, cracked skin which are all developed through a loss of collagen. Who doesn’t want a bit of help with that? MSM has been shown to decrease pain and inflammation associated with exercise, reduce oxidative stress, and enhance recovery. It reduces lactic acid build up, and plays a role in eliminating muscle, leg, and back cramps. Adequate sulphur levels in the diet can increase the recovery time in athletes by an estimated 75%. The ‘king of the medicinal mushrooms’, often referred to as “black gold” and one of the only vegan protein powder on the planet (we can find) that contains it (because it’s pretty expensive and exclusive!!) It is a rare and highly prized mushroom that grows on birch trees under extreme climatic conditions. We’re also just a little excited to be using Wild Organic Chaga. After harvesting, our supplier uses low temperature drying techniques to preserve all the vital enzymes and nutrients. Many of Chaga’s enzymes, antioxidants, and antibiotics appear to develop only as a side effect of years in a harsh environment. Cultivated Chaga is not involved in a struggle for survival and therefore will not develop the same range of complex antioxidants and other components. Chaga constitutes perhaps the greatest storehouse of medicinal healing properties of any single mushroom— or any herb, for that matter. 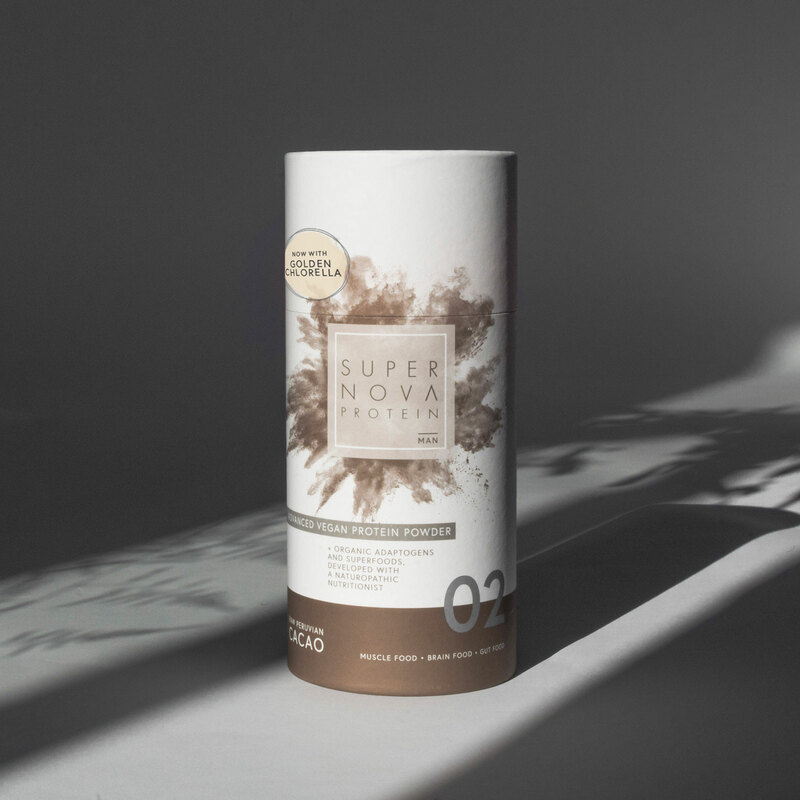 This alkalising tree mushroom is composed of a dense configuration of antioxidant pigments, distinguishing it from other medicinal mushrooms chaga helps to reduce the workload of the immune system as a whole. Chaga mushroom strengthens and stimulates the liver to speed up the metabolising of fats and the removal of toxins from the blood all of which could reduce cellulite. Superoxide dismutase (SOD) is present in chaga in substantial quantities. SOD efficiently neutralizes the damage done by free radicals, protects against disease and slows down the aging process. In the ORAC scale, a scale which was designed to measure the ability of food to deal with oxidative stress and absorb free radical damage, chaga has the highest rating. It has up to 50 times more SOD enzymes than fruit juices, leafy greens, truffles, and seaweed. Chaga gets its distinctive dark color because of its very high melanin content. Melanin is a powerful antioxidant that is known to protect the genes and the DNA. Melanin is also the main pigment present in our skin and experts suggest that Chaga’s melanin content can enhance the health of your skin, keeping it beautiful and supple. Researchers found that the chaga can significantly improve physical endurance the glycogen content of both muscle and liver increased while lactic acid levels in the bloodstream decreased. Simply put, the chaga mushroom can offer less fatigue and better endurance. A very exciting ingredient for us to use in our new blends and exclusive to Supernova Proteins. We have been working with Mine Uran, former head of protein at Nestlé who went to The White House to discuss the sustainability of protein. Subsequently she has now developed Golden Chlorella a heterotrophic micro algae product that is truly distinctive and innovative whilst also being one of the most sustainable proteins on the planet. It has extraordinary high nutritional values, protein, rich in potassium, magnesium, zinc and vitamin B. Golden Chlorella® has been shown to improve the immune system, increase energy levels, stimulate the metabolism, help reduce fat cells and weight, support brain function and detoxify the body. The pioneering point of golden chlorella is that it has a neutral taste, no more green pond water taste!! Organic vegan Cordyceps is a very intriguing and powerful medicinal mushroom. It is known for its natural ability to boost energy levels which works by increasing the amount of oxygen uptake in the body to enhance cellular energy production. It contains powerful anti-aging compounds that can help rejuvenate the skin, eliminate dead cells, and improve the appearance of wrinkles, age spots and blemishes, boost heart health, detoxify the body. Cordyceps has stimulant properties that work to directly stimulate the production of NK cells, or natural killer cells. These cells are the body’s first line of defense against illness, the immunoprotective effects of cordyceps extract can help protect the body from a wide range of illnesses. In the 1990s, Cordyceps was brought to public attention by a Chinese Olympic team, who attributed their record-breaking runs to the use of this mushroom. In contrast to other mushroom products, the mycelium from our supplier is cultivated using 100% Certified Organic Whole Oats complete with the outer hull intact, as opposed to an insect that it would naturally grow on in the Tibetean Plateau and then ingest the dead insects body which would not make it vegan. Our supplier believes that oats make a better growing substrate for mycelium than hulled brown rice, which is more commonly used and even the caterpillar. This is because the outer hull protects the oat seed from oxidizing and going rancid oats have a higher content of nutrients, protein, and fiber. Oats’ cellulose, hemicellulose, and lignin stimulate the mushroom to activate a more complete set of metabolic and enzymatic pathways, vital to the mycelia’s bioactivity. Store out of reach of children & in a cool dry place. Not suitable for children under 16, pregnant or breastfeeding women. Warning: Do not exceed the recommended daily allowance of 30g. Please speak to a health professional if taking medication. Have you seen our Cacao protein Shakes?